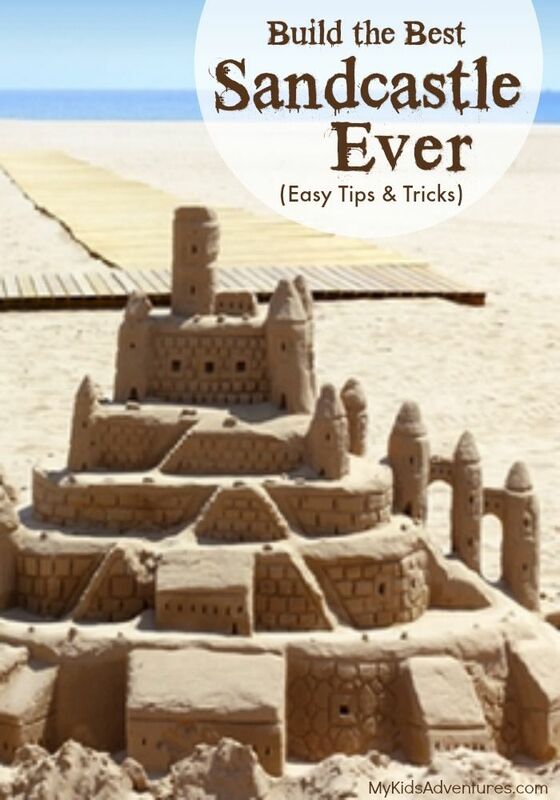 Easy Sandcastle Building a sandcastle together is a good way to bond with friends or family. It is important to mix plenty of water with the sand so that it will hold its shape.... How to make a sandcastle cake. Super detailed (but non-technical) tutorial for making a darling sandcastle cake (made by a mom, not a professional baker!) Perfect for a beach or mermaid themed party, or even a casual beach wedding! Our daughter really wanted a Sandcastle Cake for her Mermaid Under the Sea birthday party. However, I quickly realized they were among the more expensive cakes at …... We all love sandcastles, and every summer children of all ages try to outdo each other in building bigger, taller and more spectacular castles. But sandcastle building is not only for kids. There is some rather complex science behind this seemingly simple form of beach fun. The best buckets are the simple round ones – not the ones with the fancy turrets which when turned out produce a castle in itself. A round bucket will allow you turn out countless towers and architectural features. A single bucket can be turned out several times to create a large mound from which you carve an amazing tower. As you build, spare a thought to the story, not just of the castle... Encourage her to use her imagination when building. And don't be afraid to make your own sand castle along with her! And don't be afraid to make your own sand castle along with her! Before the sand dries, apply shells around the castle to give it an extra, beachy touch. How to Build a Sandcastle Cake Tutorial March 28, 2014 by pagingfunmums 13 Comments My family spend a lot of time at the beach, it’s no surprise that my baby boy’s favourite pastime is building and destroying Sandcastles…with his trusty digger in tow! To make your own, all you need is some cement, a disposable container, a disposable spoon, the molds and some cooking spray. Just spray the inside of the molds, mix the cement according to the directions on the box and let it sit till dry. With this option you don't have to bring sand into your classroom. 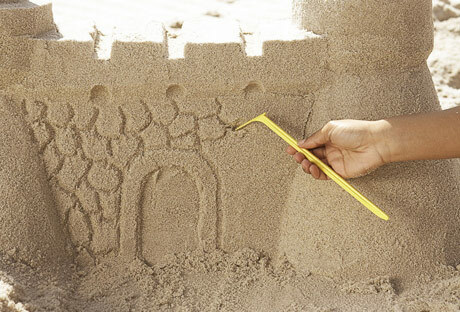 The idea here is that your students can watch me make a sand "castle". As I show them the steps, pause the video to give your students opportunities to talk about the steps of making a sand castle.